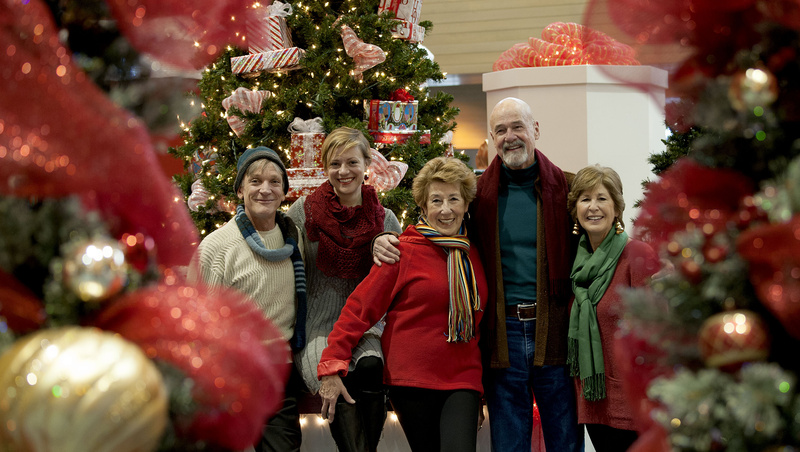 It’s tempting to think of this year’s holiday show at the Coeur d’Alene Resort as “A Travolta Family Christmas.” After all, the show is produced by Ellen Travolta, who appears along with her sister, Margaret, and her husband, Jack Bannon. Ellen Travolta would be quick to correct your assumption. “I Remember Christmas” is an ensemble show, she said. While there will be some Travolta family memories, there also will be music, readings and an old-time radio show. And for the two non-family members in the cast, the show has become a bit like family. “It’s my favorite work that I’ve done all year,” said Katherine Strohmaier. Seattle-based Strohmaier, who has done Rosemary Clooney shows in the past, will do an eight-minute Clooney medley during the show. “What I love is the sincerity of the show,” she said. “We have a million Christmas things around us and we do some Christmas tunes, but it’s more about family than just regurgitating the old Christmas tunes for no reason. “I get to do the funny bits, and they get to do all the warm, feel-good bits,” he said. She added, “they’re going to hear stories that are very personal, but at the same time we’re going to remind people of their own memories, because some of them are similar.